Round up your friends, y'all! Buy your tickets today for 2019's Dinner with Friends, hosted by Matt Teeter and Carlos Sanguinetti. 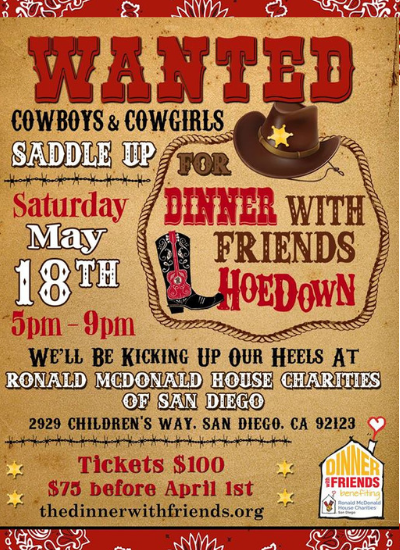 This fantastic fundraising dinner and auction is now in its eighth year of benefiting Ronald McDonald House Charities of San Diego. To purchase tickets or learn more, click here!